Hey Curvies! Oh my ghad! 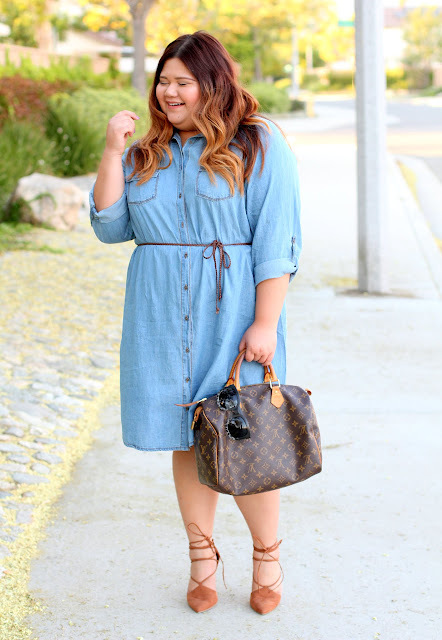 Yes, it's real you're looking at yet another denim dress here on my blog. Before you exit out from my page, which I hope you won't. Let me justify how awesome this dress is. 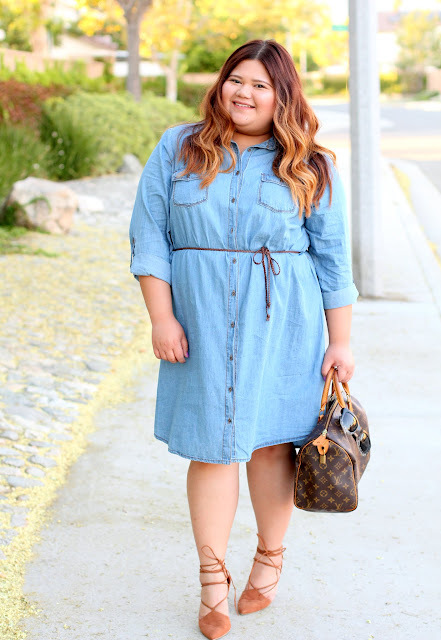 First you can get this denim shirt dress for a very affordable price at Lovesick Fashion. 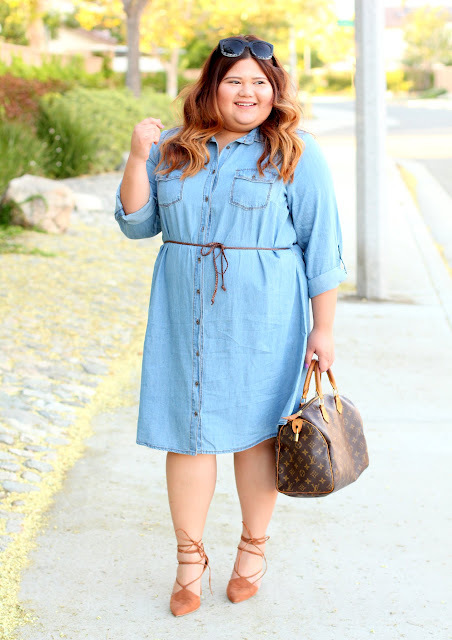 Like what I always say in every denim dress blog post that I write. Denim dresses are a huge obsession of mine, my go to favorite and my holy grail closet must have. 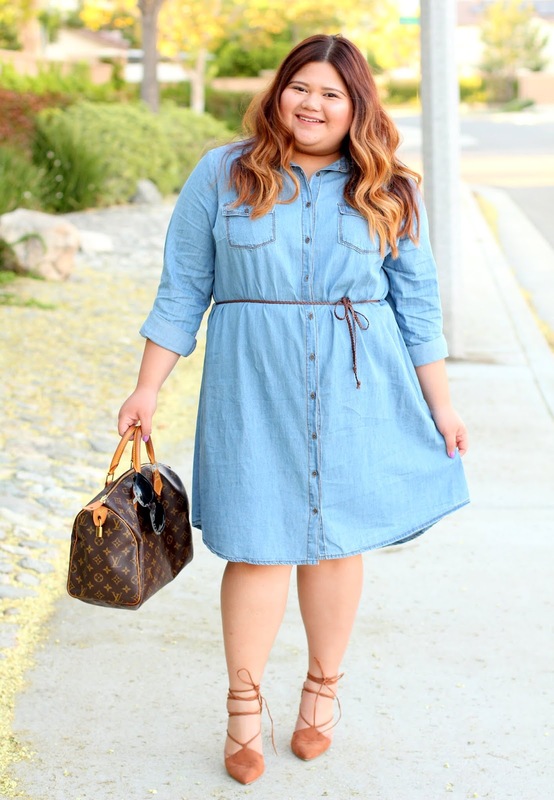 So what's so special about this Denim Shirt Dress? What made post another denim dress? The short answer is the out of this world denim material. 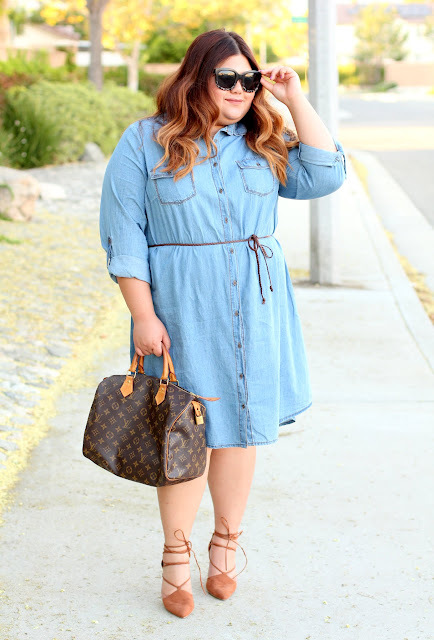 You all know I own a lot of denim dress and all of them are made really well but this one from Lovesick fashion tops all of that. I mean I'm talking branded, expensive and super duper soft denim. 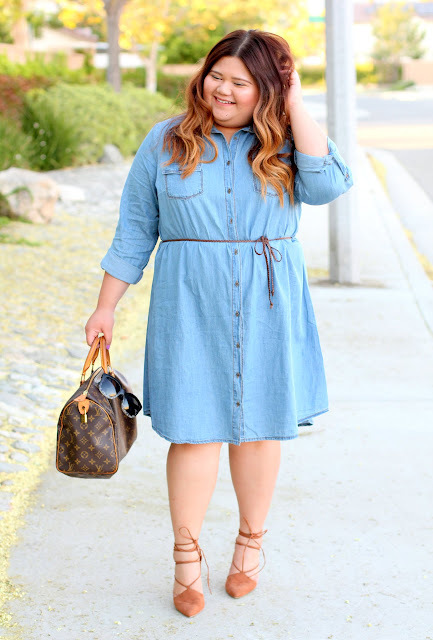 I can't believe how lovesick made such a high grade denim dress so inexpensive. I can tell this early that dress will stay in my closet faves for years. No fooling here. Get it, see and feel it for yourself.